The Germany National Football Team represents Germany in association football. The team is controlled by German Football Association which was founded in 1900. The team had also represented the Federal Republic of Germany. The Germany National Football Team is in Group F of FIFA World Cups. Joachim Low is the head coach of the team and Manuel Neuer is the captain. The Germany National Football Team‘s first international match was on April 9, 1908. The Germany National Football Team is the most successful national team who won four World Cups in 1954, 1974, 1990, 2014, three European Championships in 1972, 1980, 1996 and on Confederations Cup in 2017. 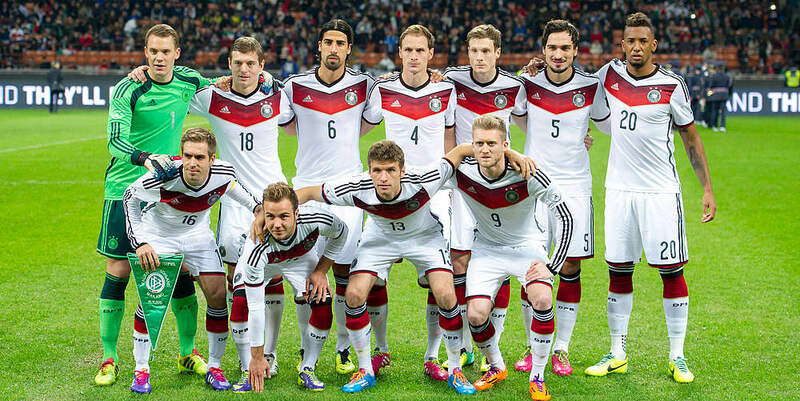 Germany had earned the highest ELO ratings of any national football teams at 2014 FIFA World Cup. I hope you find a brief information of Germany FIFA 2018 Team and their records on our site. You can check more FIFA 2018 Teams squad on our website. If you like the post then share it with your friends. Stay connected with our site.Stay connected with our website- www.fifahub.com for more updates.